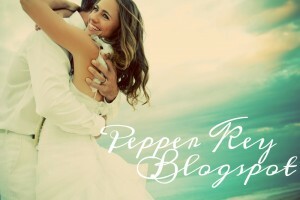 This entry was posted in Uncategorized on October 31, 2011 by pepperkeystacie@gmail.com. Halloween is right around the corner! How would you like to spend your weekend? Somewhere like above in this cozy-spaces-for-the-fall post? 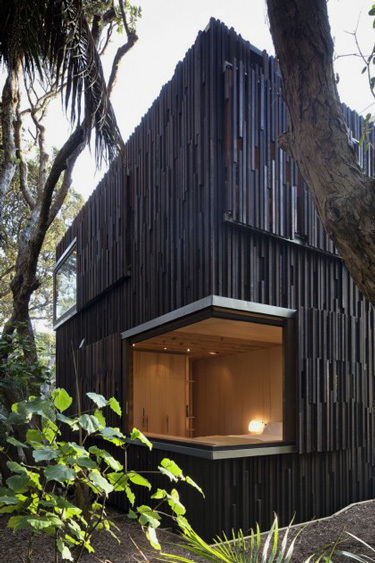 How about someplace edgy and and earthy like this herbst-architects post? Perhaps you would prefer to take your time on a major makeover project like this before-after-lofty-living-room with dark hardwood floors, trim, and faux ceiling beams, with just a touch of goth influence in the black iron chandelier. Who would be daring enough to take on a decaying mansion and breathe it back to life? 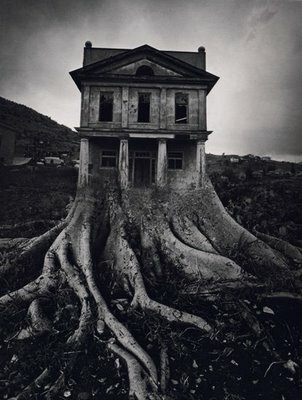 See many more hauntingly beautiful images of extremely-creepy-abandoned-houses here. 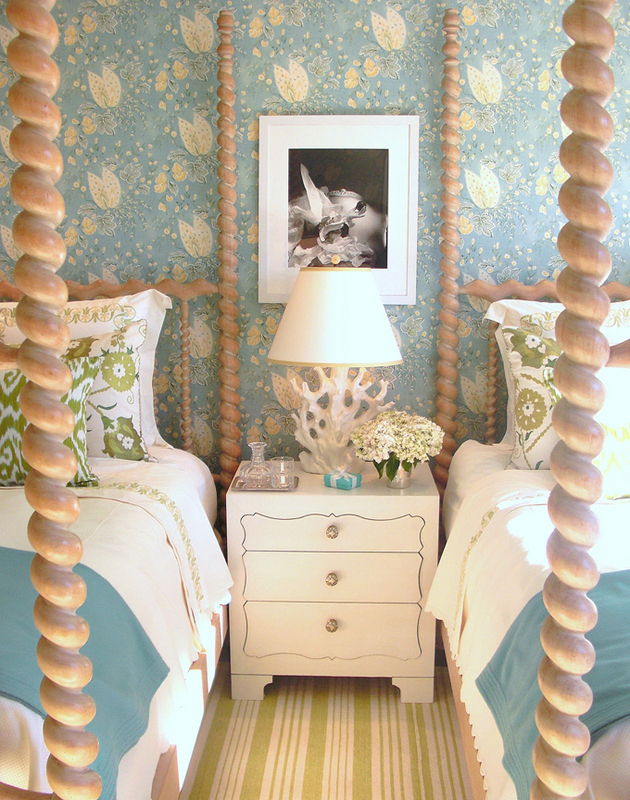 This entry was posted in Wednesday Woodworks on October 26, 2011 by pepperkeystacie@gmail.com. 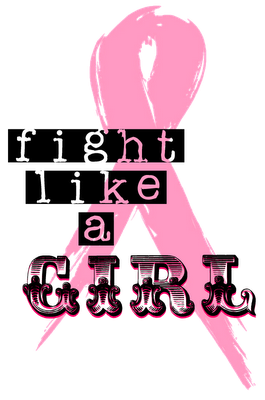 Tonight please show your support of breast cancer awareness month at the “In the Pink” celebration at the The Regent Palms. The fabulous fashion sale extravaganza starts at 6pm followed by complimentary pink cocktails at the Green Flamingo bar from 7-8pm. Post shopping hit the pool deck for sangria and dancing under the stars. Surprise bartenders, prizes, and more! 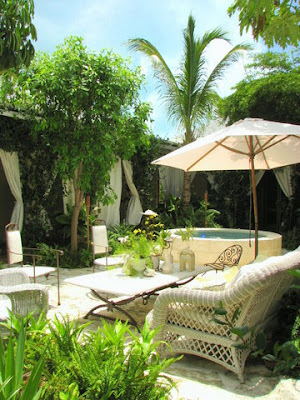 This entry was posted in Event, Turks and Caicos on October 15, 2011 by pepperkeystacie@gmail.com. 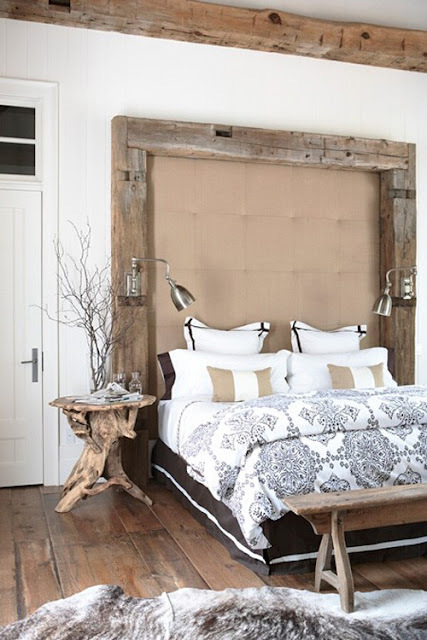 Adore this divine mix of rustic and refined, industrial metals and soft textures . An entirely timber attic bedroom, dreamy . 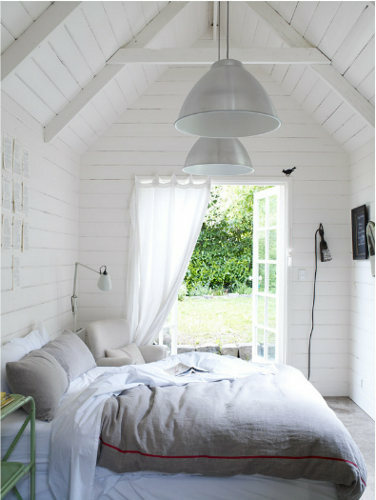 . .
Something to be said for a simple white wood bedroom bathed in natural light. Creative use of upholstery tacks on this stylishly designed wood headboard. Spiral after spiral on this pair of turned post beds, notice the clever craftmanship in the shapes of the drawer fronts on an otherwise boxy side table. 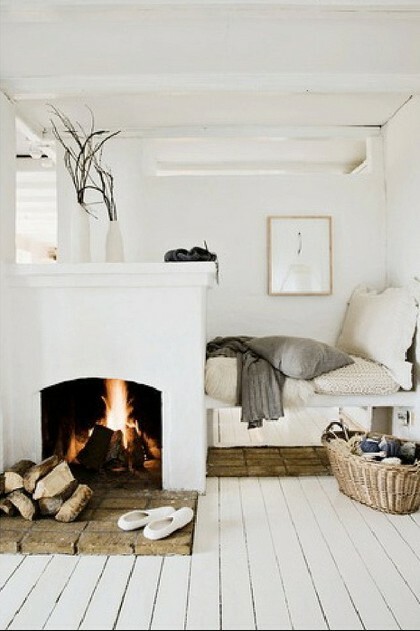 This Scandinavian bedroom demonstrates an earthy side to white painted hardwood floors. 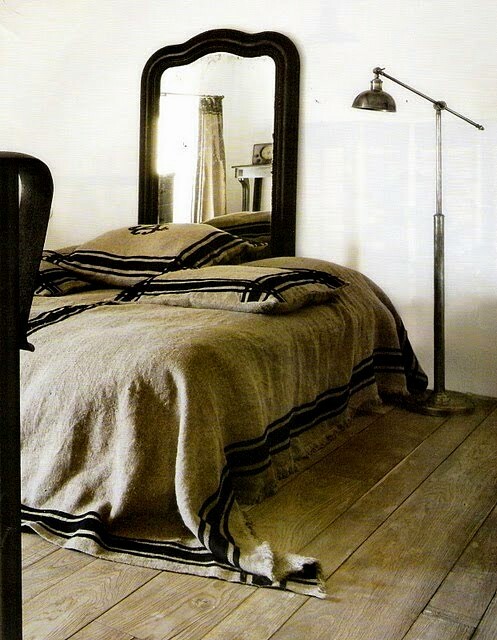 Visible grain hardwood flooring; a great use of texture in this understated bedroom, pulled together perfectly with the dramatic bold black frame of the headboard mirror. 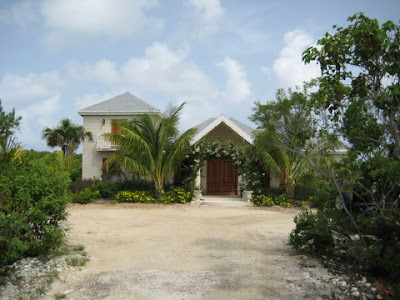 This entry was posted in TC Millwork, Turks and Caicos, Wednesday Woodworks on October 13, 2011 by pepperkeystacie@gmail.com. Today is a rarity here in Turks and Caicos; a grey, overcast, cool day perfect for landscaping and an opportune time to finish a few last touches to a major summer project at Fleur de Lys Villa. A year ago I blogged a few before-and-afters showing just how far the villa had come over the course of five years. 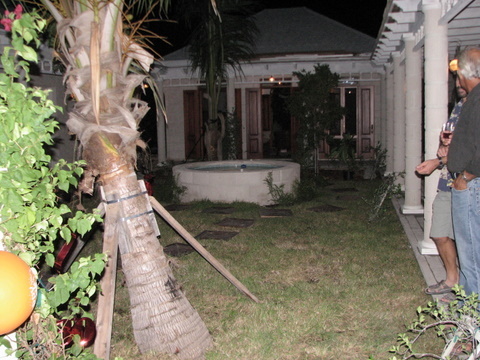 Take a peek there and one can plainly see how a house in the Caribbean is simply not a home until you have a yard. I sincerely hope that our landscaping mistakes and naivety (introduced in this post) can act as a learning tool for others who are in the same predicament, or are about to sink their shovels in on their own project. Villa before the finished entrance in 2007. A change of mind on the driveway placement lead to unnecessary clear cutting in the front﻿. When we built the villa we had a solid knowledge foundation with regards to construction and about zero when it came to landscaping. With a home designed around a central courtyard and whose very essence is all about enjoying the great outdoors, our yard was elevated to numero uno on the priority list. Our first mistake: clearing too much of the indigenous bush. When we began construction I did not have the appreciation of the beautiful TCI bush that I do now. Now I am educated on just how rare and lovely our Tropical-Dry-Forest really is. As soon as one realises the amount of labor, love, and pocket money it takes to keep a single plant, flower, shrub, or tree happy and healthy over the course of it’s lifetime, one knows to LEAVE ALONE what is already there and thriving! Leave alone what is already rooted and acclimated and most likely a home to all kinds of species if you just take a moment to study it. Mother Nature put it there for a reason, and unless it’s an invasive-species or harmful/poisonous, it is providing a vital function in it’s given environment. Our second mistake; hiring a pricey landscaper. We thought we had the best in the business, a well reputed, long established company with loads of impressive contracts in their portfolio. Turns out we two DIY’ers would have been far better off to save our money and simply take things slowly, seek advice from neighbors, friends, and the professional/environmental enthusiasts at the DECR. Within the first year we had; ripped out the courtyard grass the landscaper talked us into which never took and had us tracking mud into every room in the house, removed the mulch that invited termites onto the property, and transplanted dozens of ficus placed along the exterior walls when we discovered how aggressive their root systems are and that our plumbing pipes were soon to be targets. The following two years were filled with several casualties; two large coconuts who caught lethal yellowing, $1400 worth of yellow allamanda smothered by macho ferns, and firecrackers that didn’t survive the attempt to save them from feet climbing in and out of the hot tub. There were also many more transplants, some out of necessity such as the mahogany who began to be crowded by a large coconut, and others out of aesthetic, like the dozens of fountain grass we thought would look great near the pool until they bloomed . . . and sent their feathery seed pods swimming. Then there was the massive undertaking of converting all of the spray-irrigation to drip-irrigation after researching ways to conserve water and finding out that the later is 90% effective in comparison to the formers 30-50%. I strongly suggest to everyone in the Caribbean, where water is a precious resource, install drip systems to every applicable area. It will save tons of water and a great deal of money over the course of time. If you do hire a landscaper, do your homework! 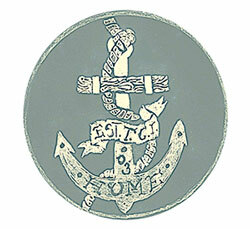 Inquire with a client they don’t include in their portfolio, someone you may know who has a project similiar to yours. Take an evening to google the species on their estimate and make certain if you find any negative characteristic, ask the lansdcaper if those possibilities are applicable here in the Turks and Caicos. Request drawings and reasonable projections for what your yard will blossom into 5 years from now, 10 years, and even 20 down the road. If we would have had this foresight, we never would have allowed an olive tree to be planted in the courtyard. For three years we watched her grow from a skinny little stick (as shown in the 2006 image above) into a gorgeous Shady Lady. This lady and her neighboring tabebuia friend pictured above, had the courtyard looking absolutely beautiful, that is if you swept it every hour on the hour! That’s right, these two were quite the lookers but what mess makers! They shed so much that the spa, the prized water feature and focal point of the courtyard, was kept under cover for the last two years, creating an eyesore versus the serene sight we intended. 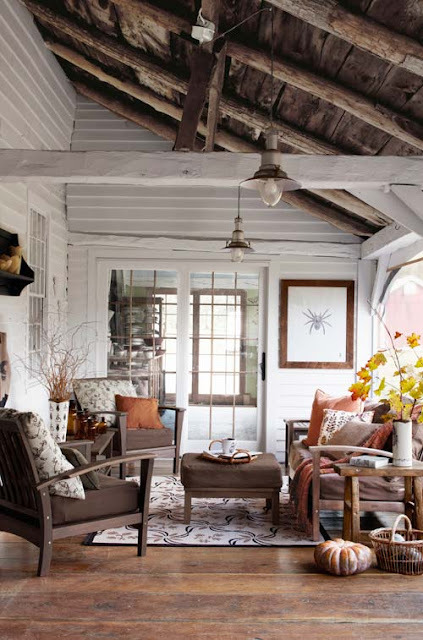 We thought of how much time we had spent sweeping, digging leaves out of the gutters, carefully raking the planters so as not to disturb the delicate peace lilies and other plants, and knew that something must be done. After weeks of brainstorming possible solutions, we looked around at the covered hot tub, the leaf littered courtyard, the native stone buckling from the expanding roots of both the Schefflera and the mahagony (which had also begun to shed daily in the pool) and we decided with very heavy hearts, to make some very big changes. ﻿Stay tuned for the “after” images in Part 2! This entry was posted in Fleur de Lys Villa, landscaping 101, Turks and Caicos on October 11, 2011 by pepperkeystacie@gmail.com.